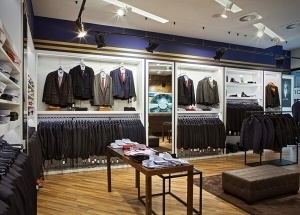 The Poland menswear store main use wooden clothing display furniture ,with white and blue baking finish. JOVA DISPLAY FURNITURE is clothing store furniture manufacturers from China, offer free clothing store interior design, and manufacture store display furniture. 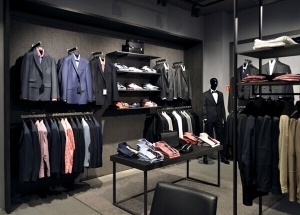 The men boutique design was for Liu Jo men's shop in Italy . JOVA DISPLAY FURNITURE is clothing store furniture manufacturers from China, offer free clothing store interior design, and manufacture store display furniture. 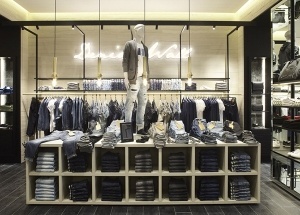 This apparel display ideas is for a lady boutique showroom project in Germany, for selling women's clothing. This clothing shelves and racks was for JEANASIS clothes in Japan. offer clothing store displays. 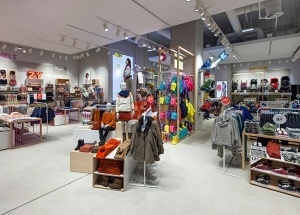 This baby garments shop design was for Zippy store in Portugal. We are garments shop display company China, offer free baby shop design, and manufacture baby clothes display. 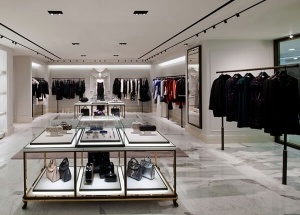 This small garment shop design is for a gents shop in Poland, main use black metal clothing display furniture. JOVA DISPLAY FURNITURE is clothing store furniture manufacturers from China, offer free clothing store interior design, and manufacture store display furniture. 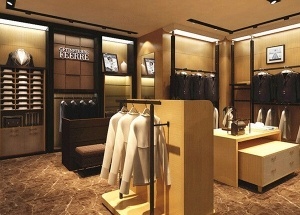 The clothing store equipment was for Feerre men's shop . JOVA DISPLAY FURNITURE is clothing store furniture manufacturers from China, offer free clothing store interior design, and manufacture store display furniture.